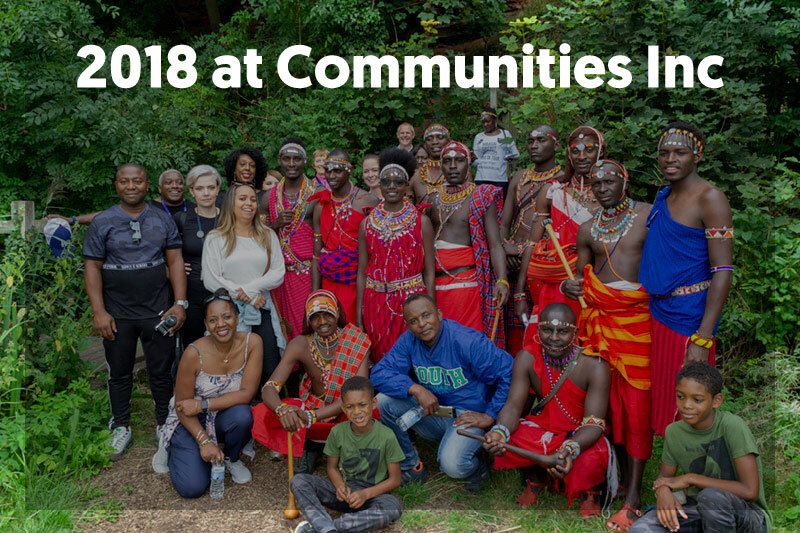 We might be approaching the end of January, but we still cannot believe how successful 2018 has been for Communities Inc. It has been by far the busiest and the most exciting year for us and brought new perspectives to our organisation. A lot of our activities last year were a direct response to spikes in hate crime, which are still a reality since the EU Referendum and the stages to Britain exiting the EU. We launched new projects and even set up a national awareness day. We also met Maasai Cricket Warriors and attended lots of events both locally, nationally and internationally. Here is what we have been up to in 2018. Not many people know that we started exploring how bystander interventions could tackle hate crime way back in 2016, after the EU referendum. Seeing all the incidents posted on social media got us thinking about alternative ways of responding to hate crime and incidents, which would promote sustainability and strengthen communities. We very quickly realised the potential of bystander interventions and started looking at incorporating it into our work. The term bystander was coined following the murder of Kitty Genovese on 13th March 1964. It was claimed that 38 witnesses watched or heard her cries for help but failed to intervene. We decided to register National Bystander Awareness Day for the 13th March with Year Ahead. We felt having a national day was a great way of attracting attention to the role that bystanders can play when other people need help. We aim to promote safe and simple interventions that can support victims, send messages to offenders that their behaviour will not be tolerated and increase the reporting of hate crimes and incidents. National Bystander Awareness Day was a rather quiet event in 2018 which focused on sharing information via our social media channels. This year we are planning to go bigger. We have some amazing ideas and plans already in motion so that people of Nottingham can unite and stand against hate. For more information about this event please visit the National Bystander Awareness Day page. At the beginning of 2018, we received fantastic news from the Institute of Strategic Dialogue that we have been selected as one of 13 grantees of the Innovation Fund, set up in partnership with Google.org, to deliver our Stand by Me project. Stand by Me is a community-led approach to respond to and counter hate incidents. People often do not know how to intervene and are concerned about their own safety. Despite wanting to help, this prevents them from doing anything and so they remain bystanders. Stand by Me builds knowledge, skills and confidence so that people can intervene while staying safe. Launched in March, we trained 32 Ambassadors in hate crime and bystander interventions. They later cascaded the information in their communities. We produced bystander intervention resources for the public and launched a city-wide campaign during National Hate Crime Awareness Week. Stand by Me received great feedback from participants. It also has gained a lot of interest from organisations across the UK and worldwide. We are now looking at ways of taking Stand by Me a step or few further. We will keep you posted. For more information about the project and Stand by Me videos, visit Stand by Me page. In 2018 we launched another project – Positive Exposures. 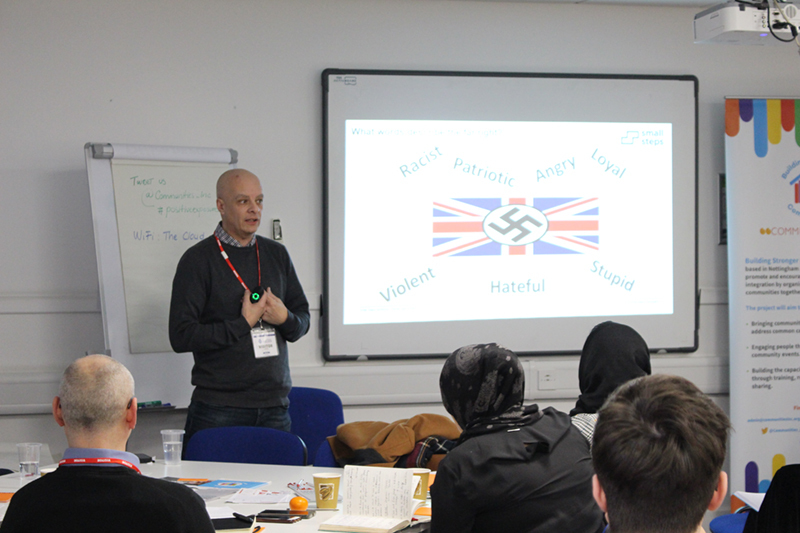 The aim was to promote British values and challenge negative stereotypes about minorities and the state of the nation. As part of the project, we ran a workshop about British values for the residents of Adkam Housing. 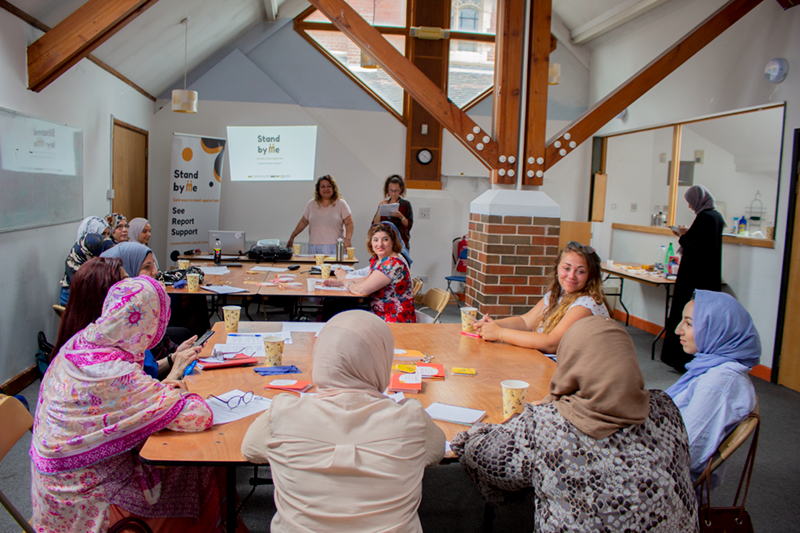 We also teamed up with Small Steps to deliver dialogues and workshops for service providers and community organisations to help them understand far-right movements and learn how to counter far-right narratives in the real and virtual world. August was by far the most exciting month of 2018 as we prepared for and welcomed Maasai Cricket Warriors. 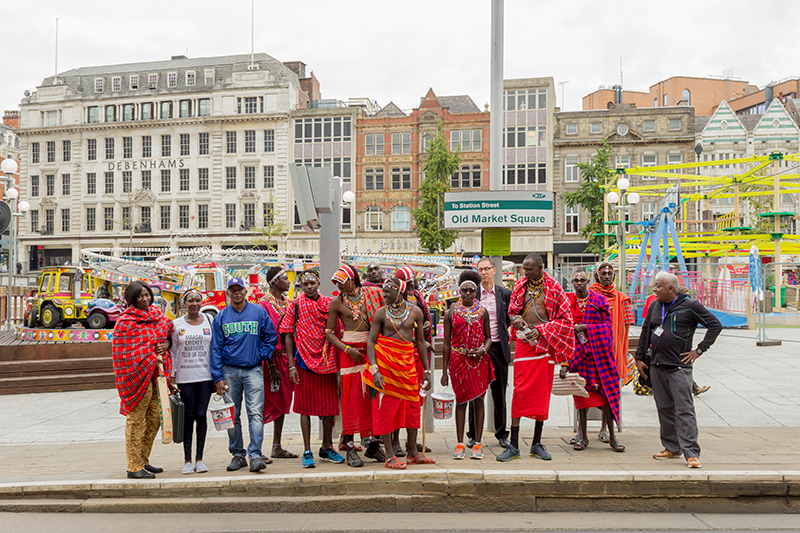 Coming from Kenya, they stayed in Nottingham for 2 weeks not only play cricket but to raise awareness about female genital mutilation (FGM) and how it affects women around the world. We are proud to say that we partnered with Mojatu Foundation in the organisation of this tour. On the 21st of August, we organised a day with Maasai Cricket Warriors. We ensured it was packed with activities for the Warriors as well as the public. In the morning they took part in our monthly Walk the Talk and explored wonders of Clifton Wood. Quick tram journey back to the city centre, lunch, then some cricket with the public by Nottingham Castle. It was fantastic to participate in also for us! Following that, we met with the Sheriff of Nottingham for a cup of tea and discussion about team’s campaigns and work in Kenya. We finished the day at Nottingham Contemporary with a gallery tour, a screening of Warriors (2015) and a panel discussion. It was a truly exciting and inspiring day for us and we put a lot of effort into organising it. We really enjoyed seeing the people of Nottingham interacting with the Warriors. Our city has definitely given them a warm welcome. We have also learned a lot about Warrior’s work and the issues they are actively tackling in their community. They are a very inspiring group of young people. We are hoping to meet with them again in the future. Last year, we went to a lot of places and met a lot of inspiring people. 2018 started with visiting Youtube Space London for a social media workshop with the Institute for Strategic Dialogue. It was a fantastic event which taught us a lot about how to harness the power of social media. We also had a lot of fun with the Renewal Trust at the National Diversity Awards in Liverpool, as Future Leaders of Nottingham – a program which we helped design – got shortlisted for an award. 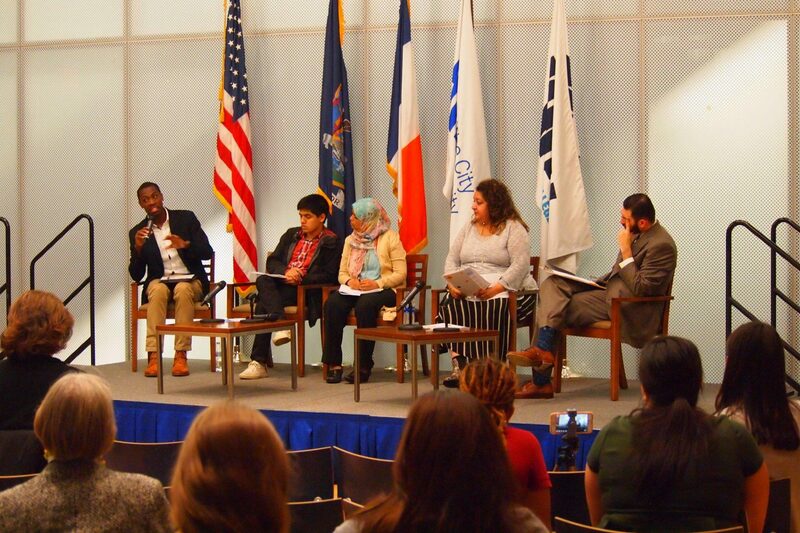 One of the highlights was attending a United Nations General Assembly side event panel discussion in New York City. Our Director, Shamsher Chohan, joined the Institute for Strategic Dialogue on the stage to talk about Stand by Me project. While in New York, she also attended a Global Internet Forum to Counter Terrorism event with Facebook and Google. We also travelled to Birmingham to present Stand by Me at the Building Strong Cities conference and the Online Civil Courage Initiative Conference at Facebook Community Boost, both organised by ISD. 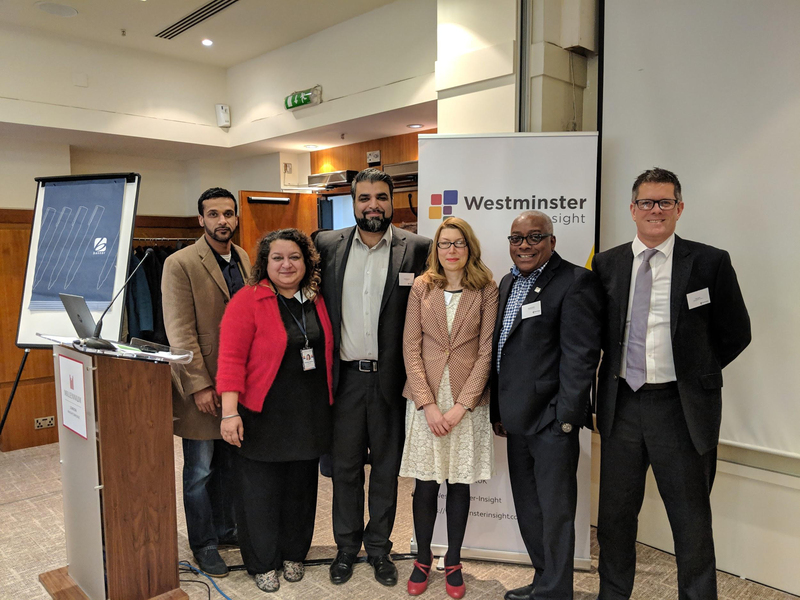 Earlier in the year, we attended the World Community Development Conference at Manooth University in Dublin, the Multi Agency Upstanders Network in Brighton, and to London for Tackling Hate Crime – a national conference organised by Westminster Insight. One of the very rewarding aspects of our work is interacting with the general public and raising awareness about hate crime and community cohesion. Therefore, we ensured we had a lot of opportunities to do so. We organised a lot of events such as our monthly Walk the Talk – a walking dialogue in Clifton countryside for those who like to talk about social issues. We have also partnered with Nottingham Contemporary to organise regular film nights. As always we also attended flagship community events in the city and county. 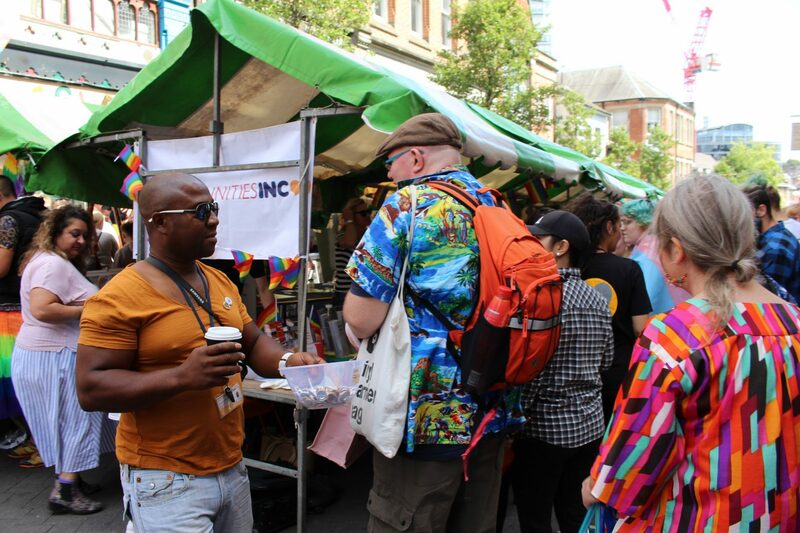 We had our stalls at Nottingham Refugee Week Launch, Nottinghamshire and Worksop Pride, Hyson Green Cultural Festival. We had a really good time talking about social issues, hearing personal stories, and handing out our resources. To hear more about our work in 2019 subscribe to our newsletter and follow us on Facebook and Twitter. Previous Why are bystander interventions important in tackling hate crime?